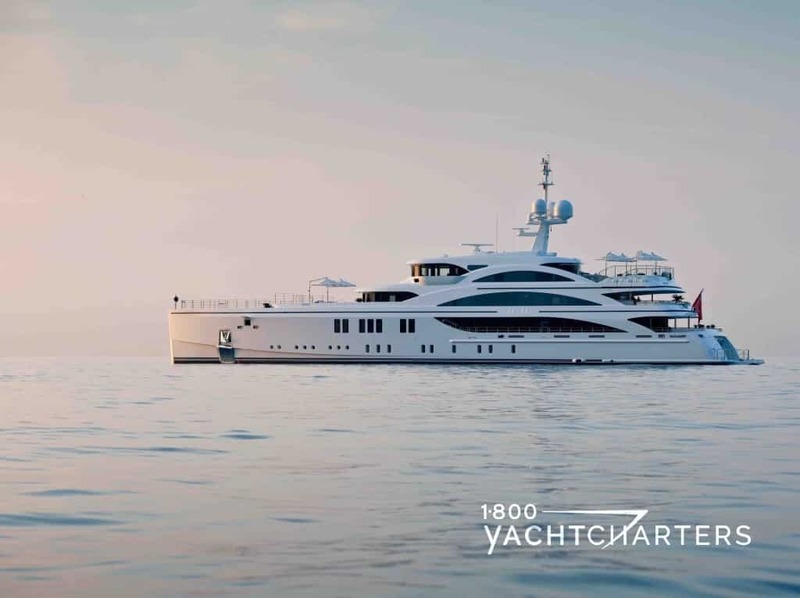 Winner at the 2016 World Superyacht Awards, Benetti yacht 11.11 is only the second bluff-bowed boat built by the fabled Italian yard. 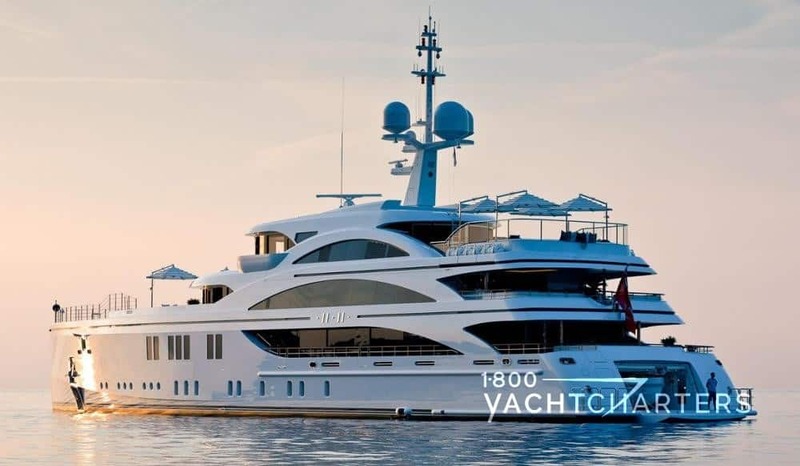 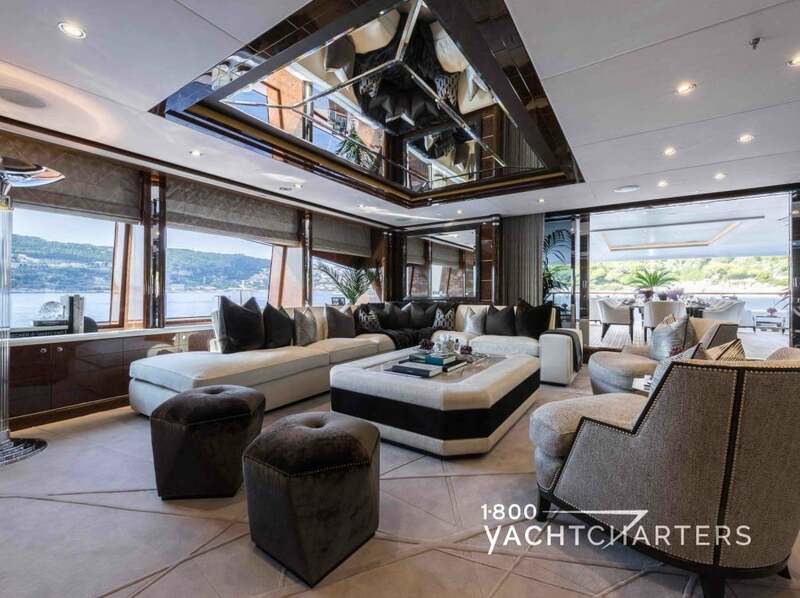 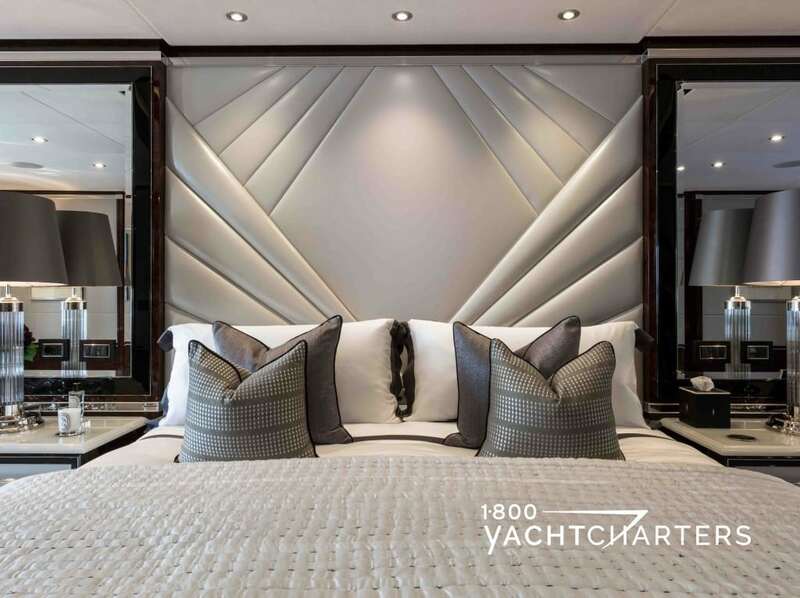 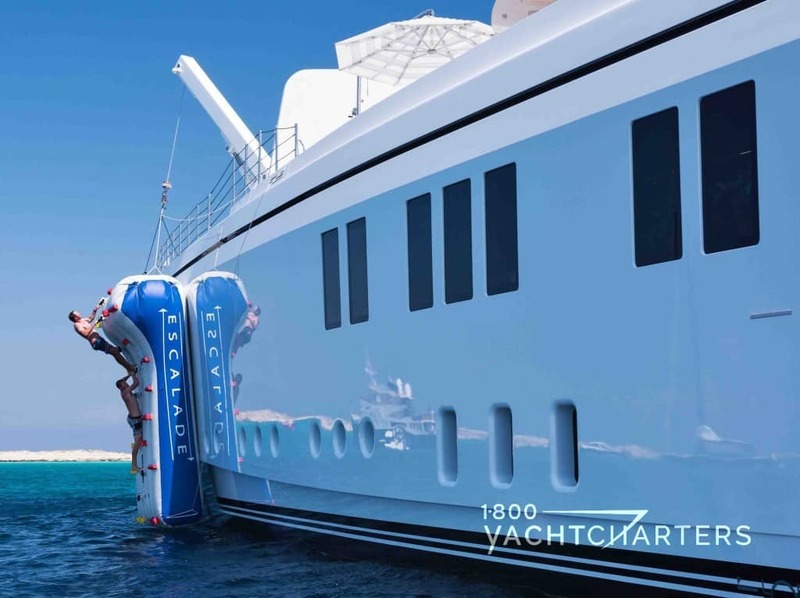 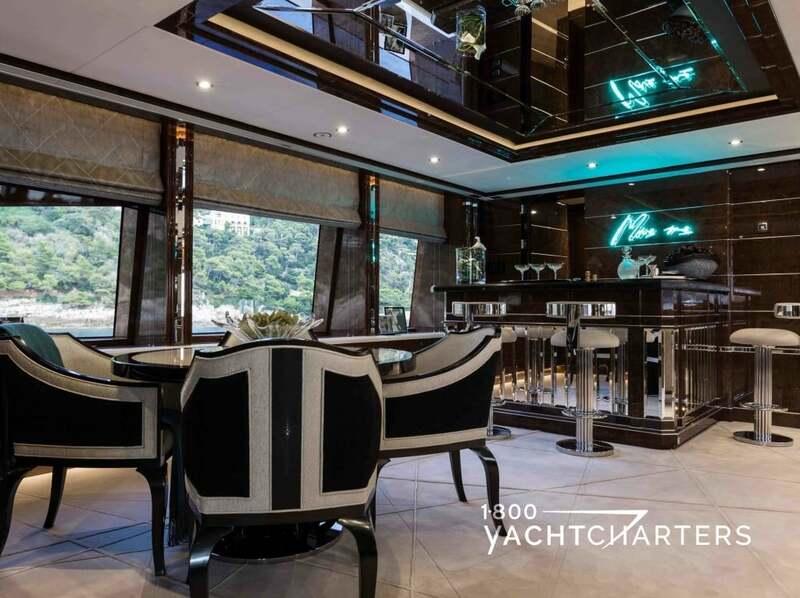 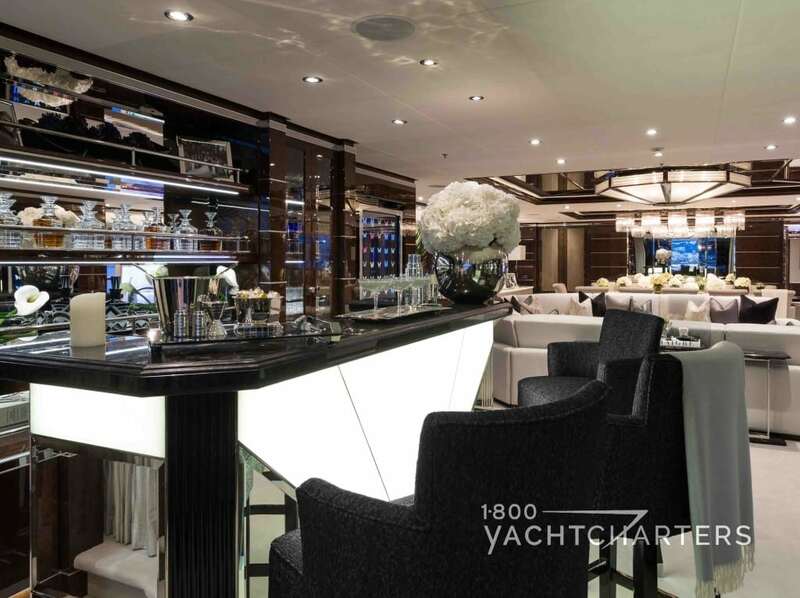 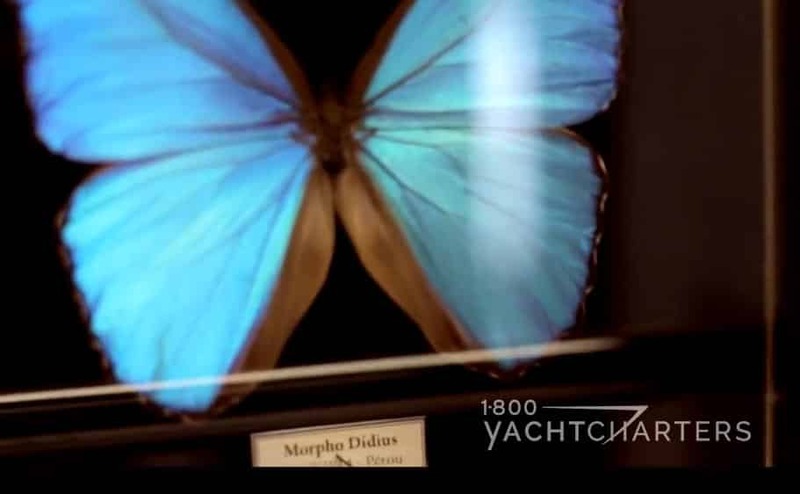 Originally commissioned to look like a Russian Tsar’s palace, the first owner of the yacht walked away when the yacht was 40% complete, and a new owner stepped in to transform the yacht into an award-winning monochromatic masterpiece. 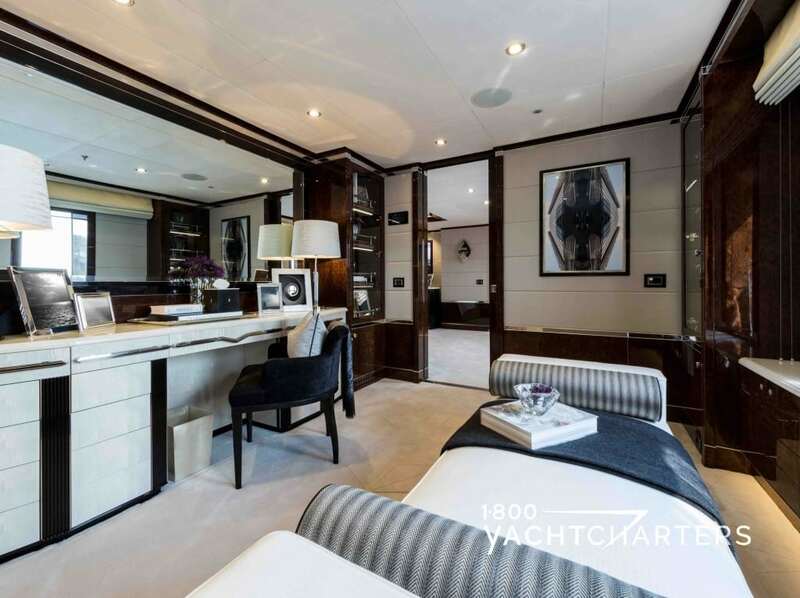 While the current trend is to build yachts with hard, minimalist edges, the main living areas onboard yacht 11.11 offer suppleness and comfort. 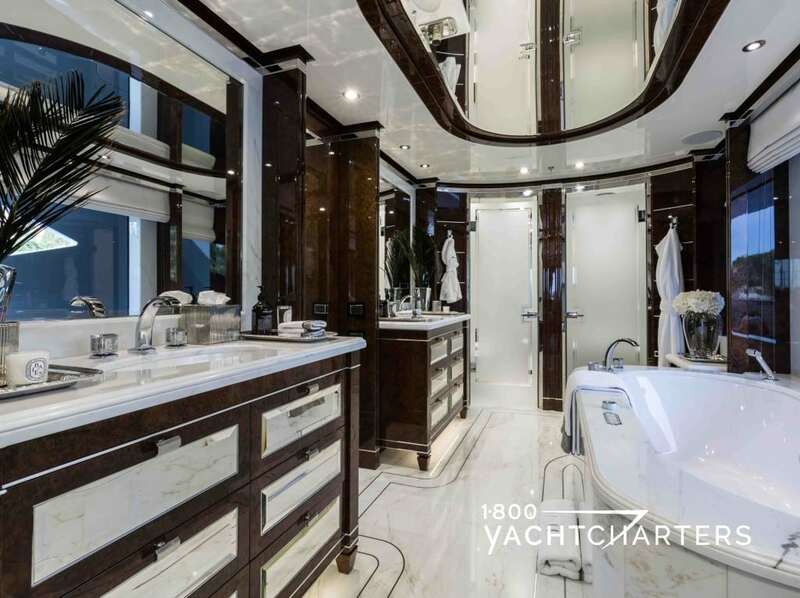 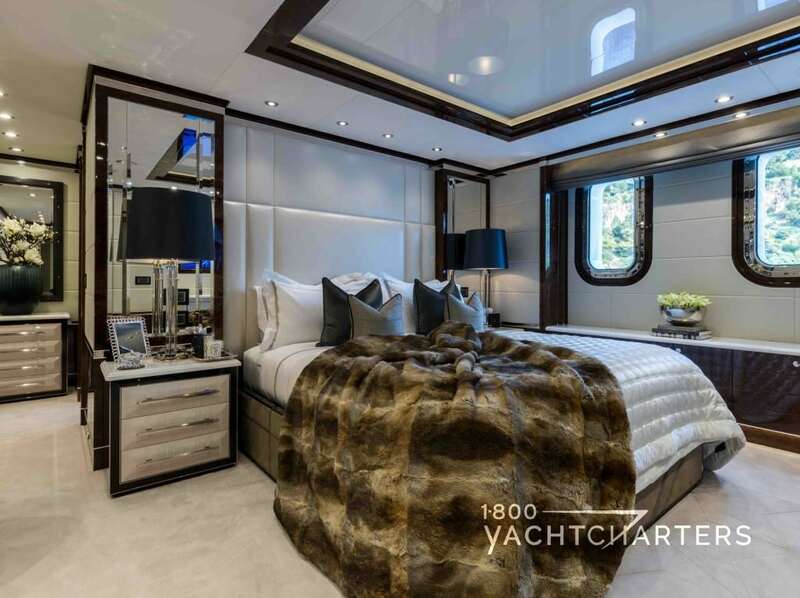 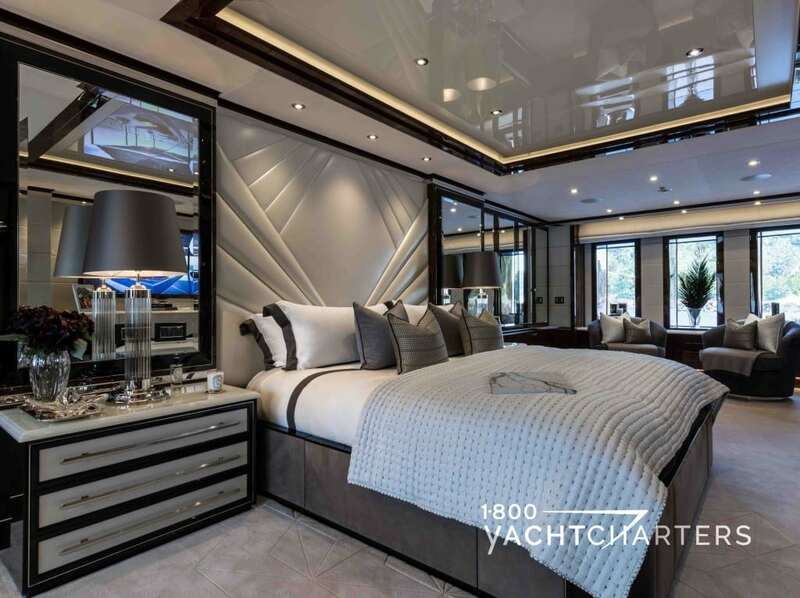 Functionality and comfort on board Benetti yacht 11.11 are found everywhere, a testament to the owner’s desire to create a home on the water, and not a palace. 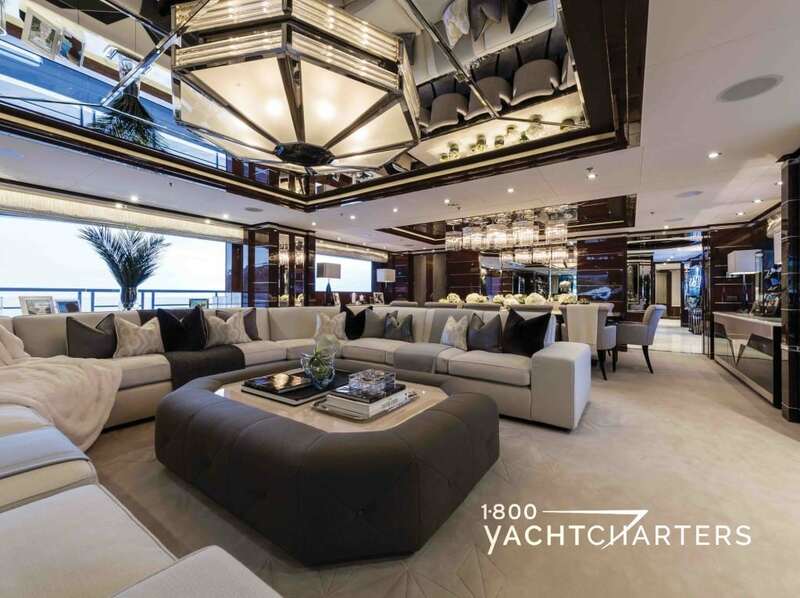 Especially unique is the “child-proof” design in the interior. 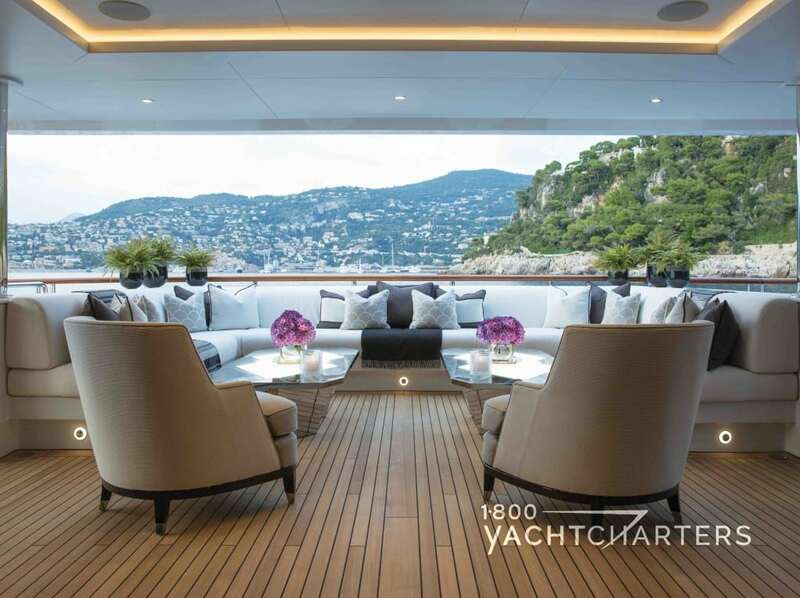 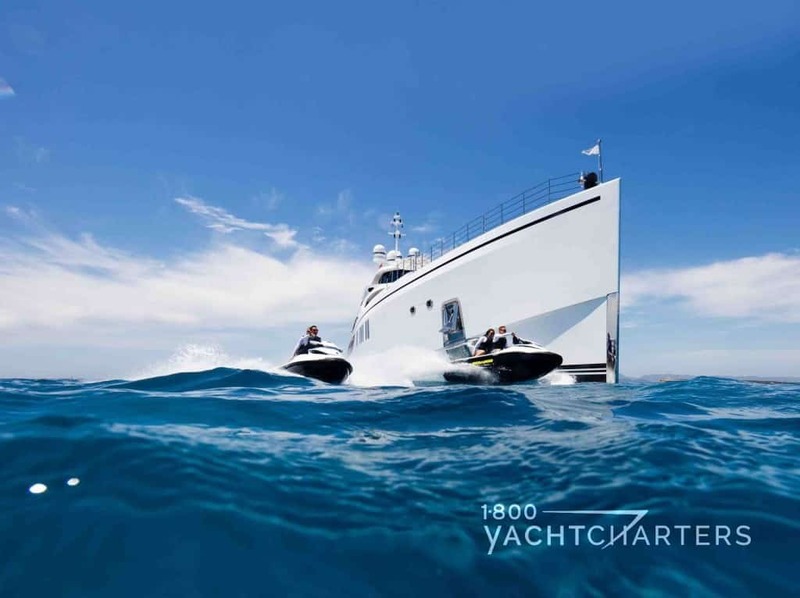 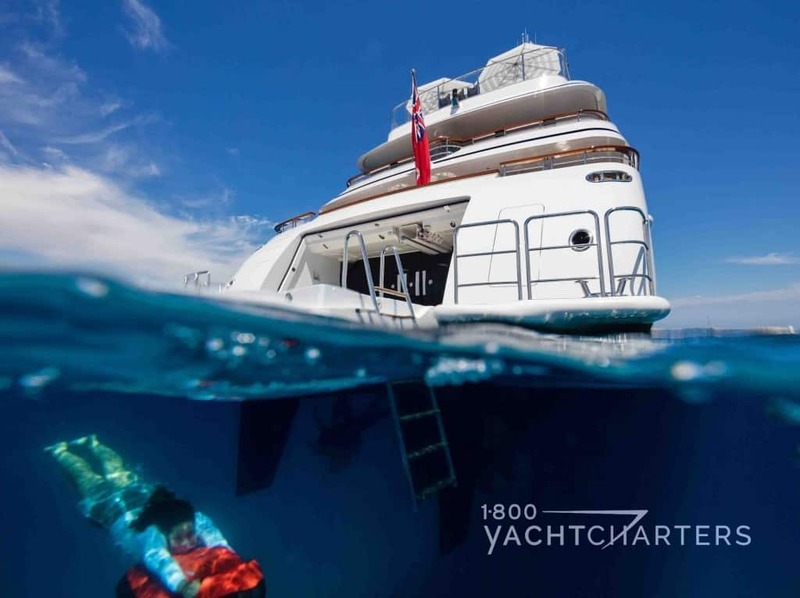 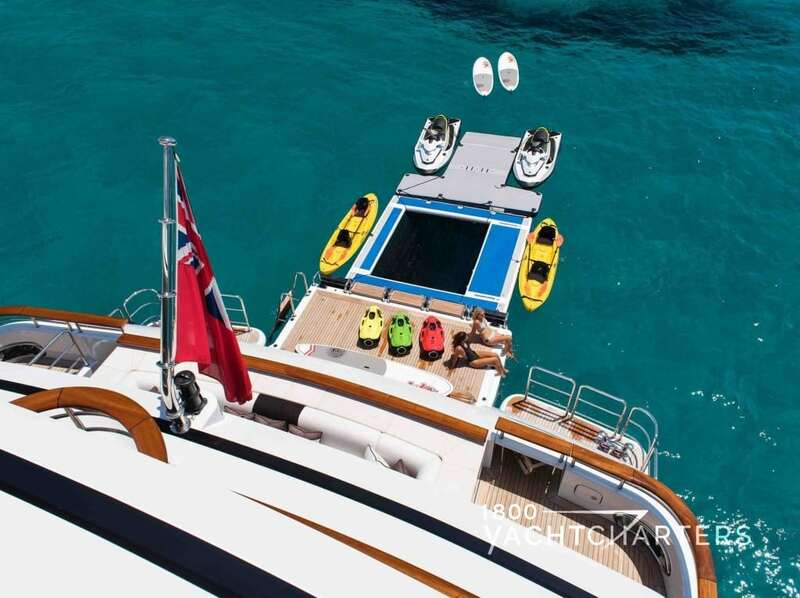 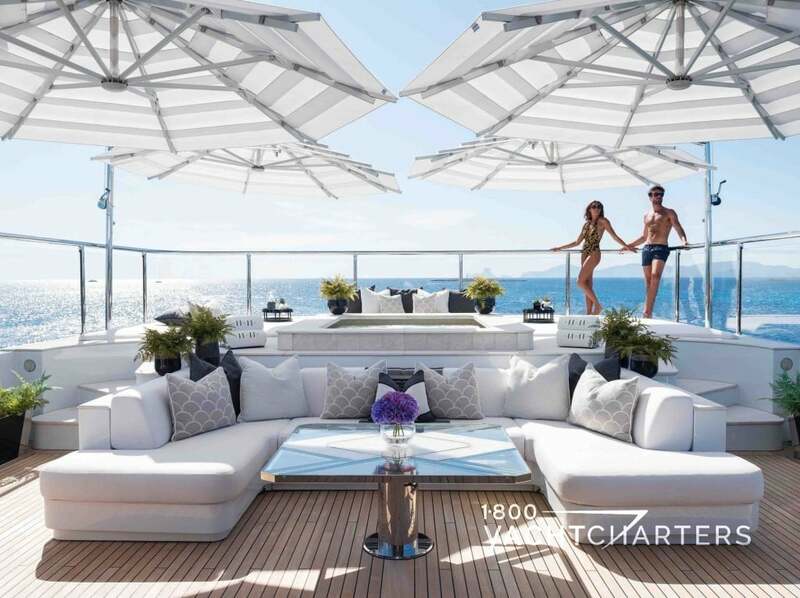 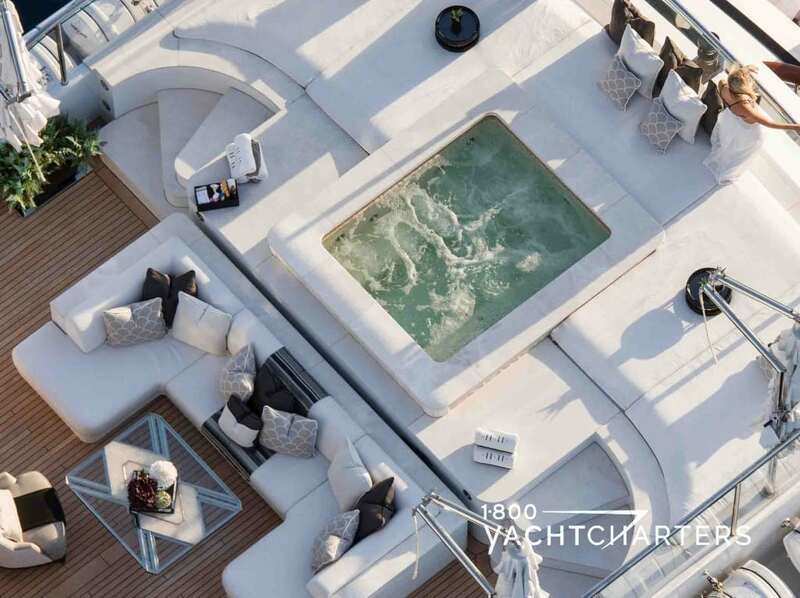 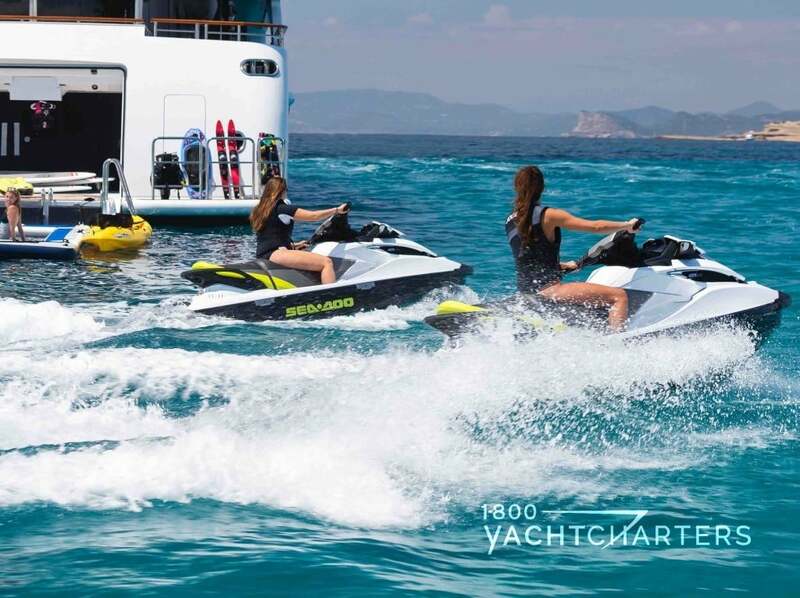 Curves replace edges at toddler height, and the seating areas in the lower and upper saloons are clustered around coffee tables that you can bounce off of or fall asleep against…very child-friendly, and perfect for a family private luxury yacht charter vacation. 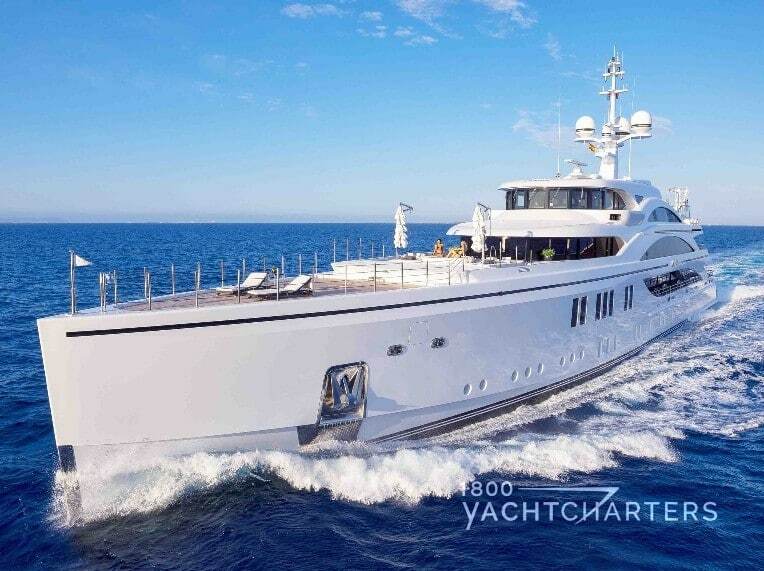 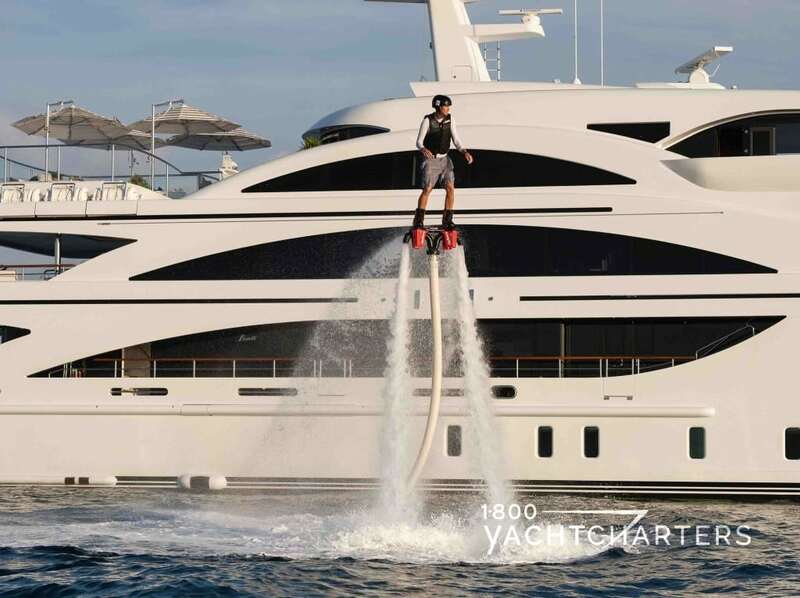 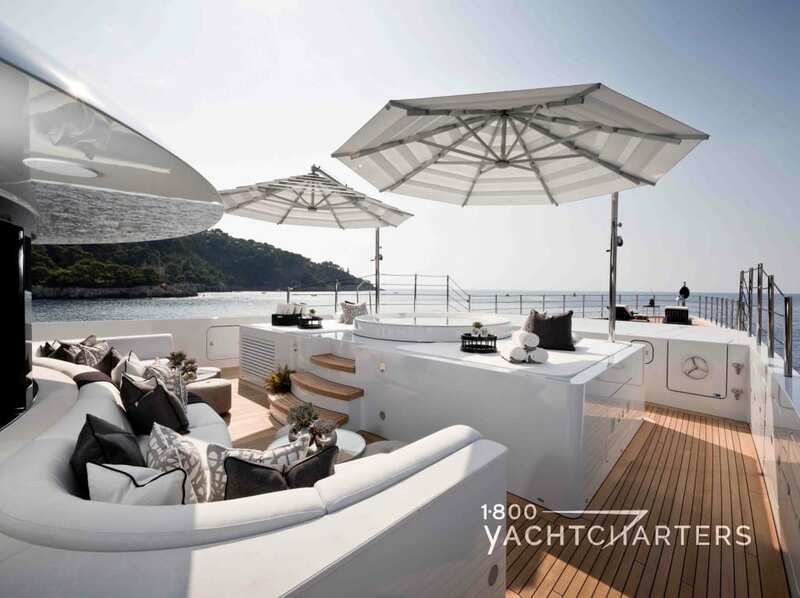 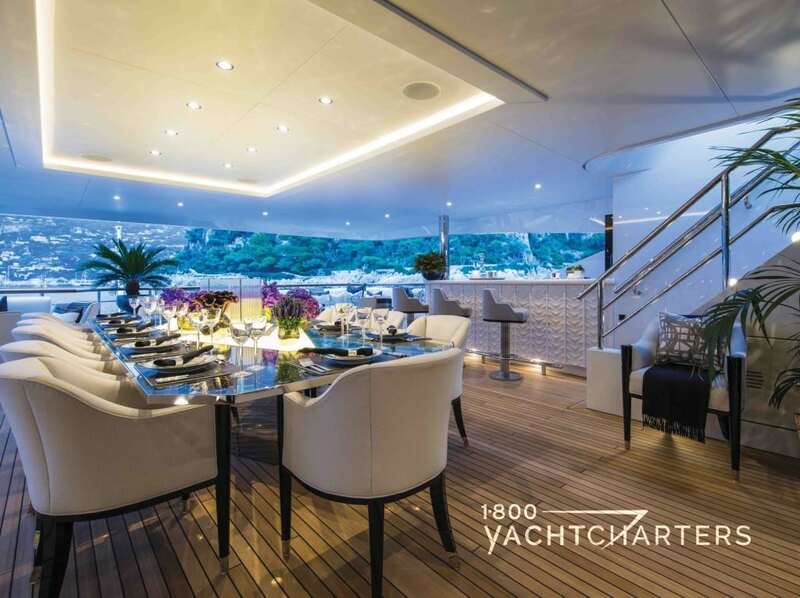 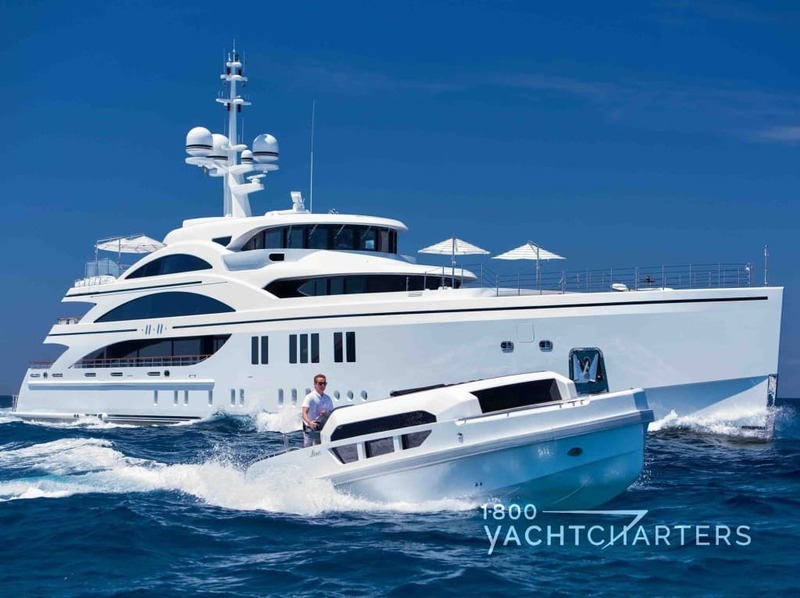 See the Benetti motoryacht JO, voted “Best Family Charter Yacht” by Superyacht World magazine. 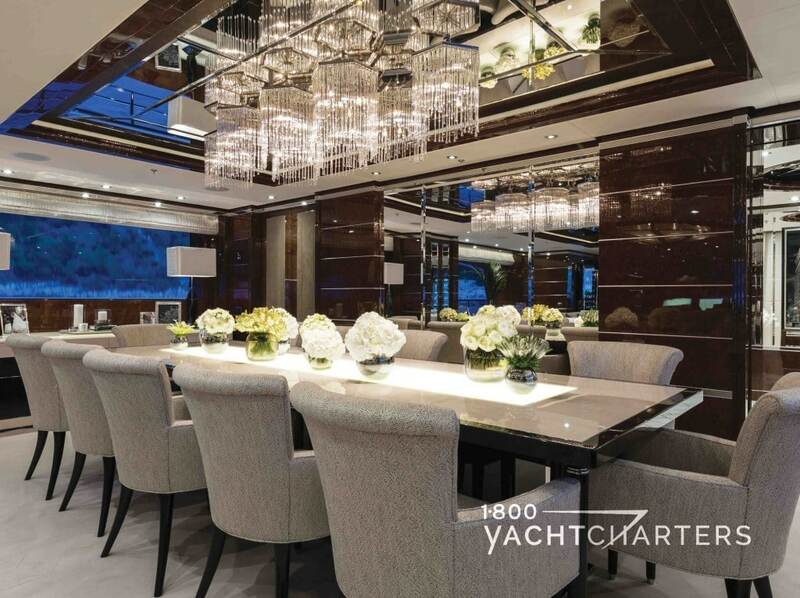 Her interiors are Art Deco-inspired and accented by bold artworks, polished stainless steel finishes, bespoke chandeliers, and flawless Italian marble, complemented by custom furnishings. 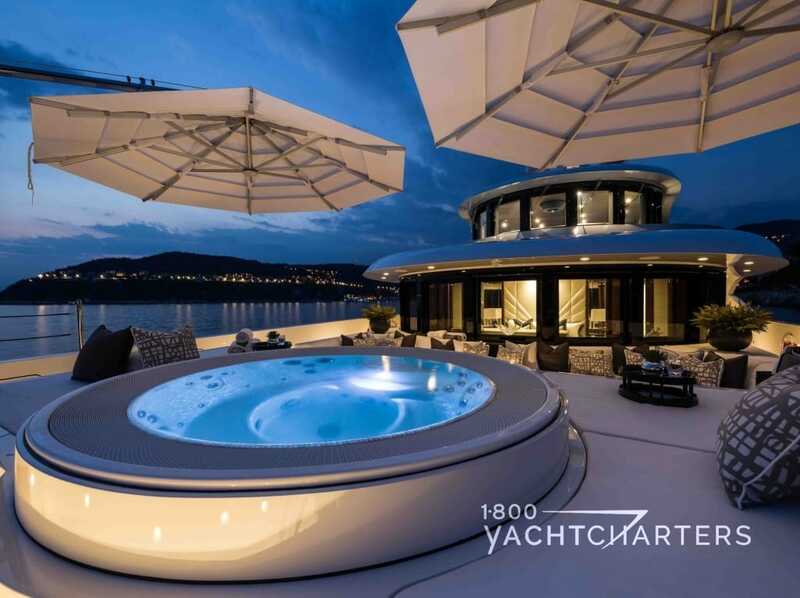 Another unique feature – there are TWO spa pools. 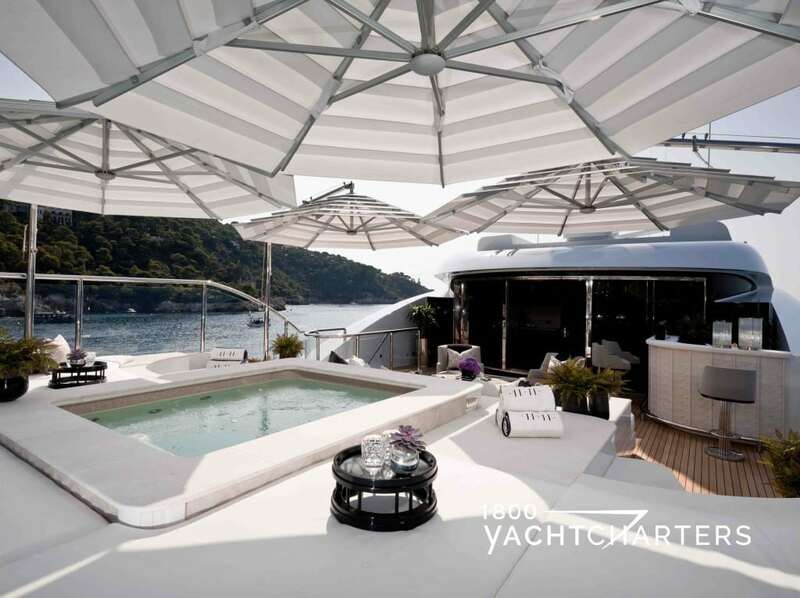 The first is situated aft on the sun deck, resplendent in pearlescent mosaic tiles and surrounded by sun pads in this family-friendly area. 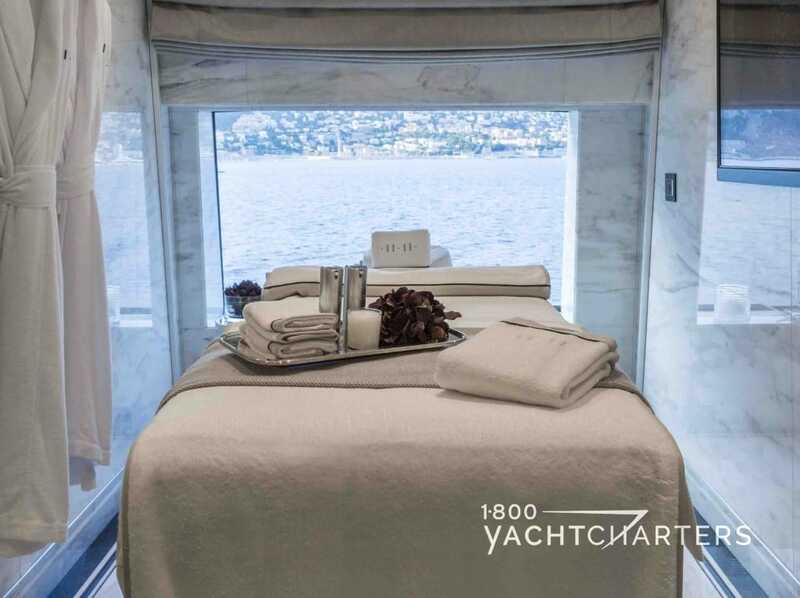 The sun deck also boasts an Italian stone bar, indoor/outdoor terrace, and a spa area with separate massage and steam rooms. 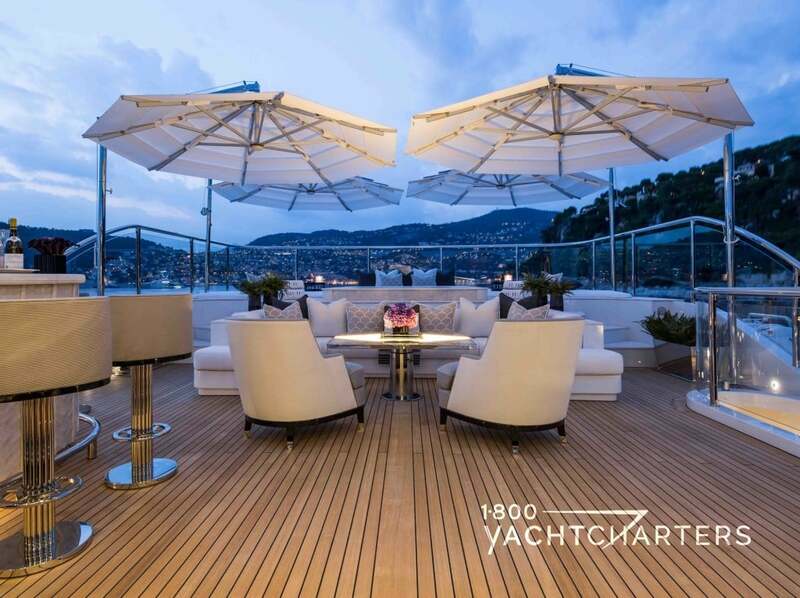 An intimate seating area and a kitchenette complete this deck and make this a relaxing space for families to gather at the end of the day. 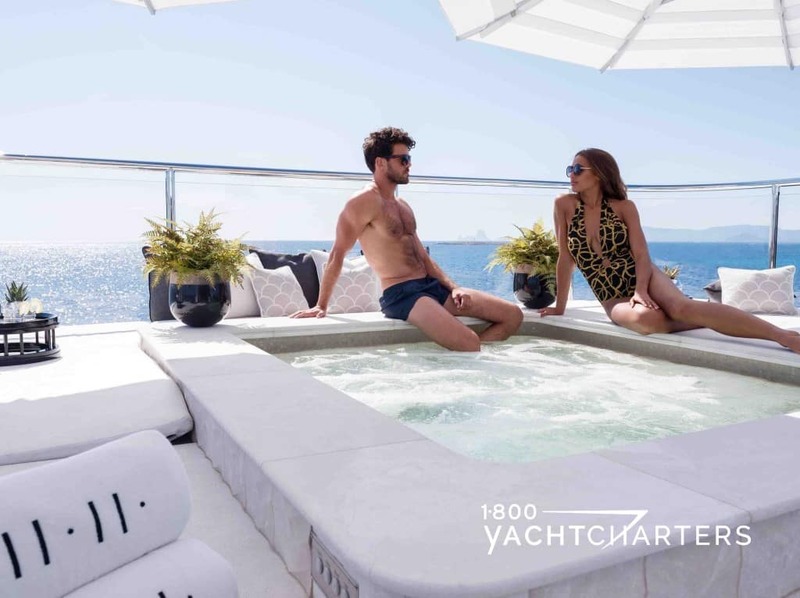 The second spa hot tub pool is forward of the panoramic owner’s suite on the upper deck. 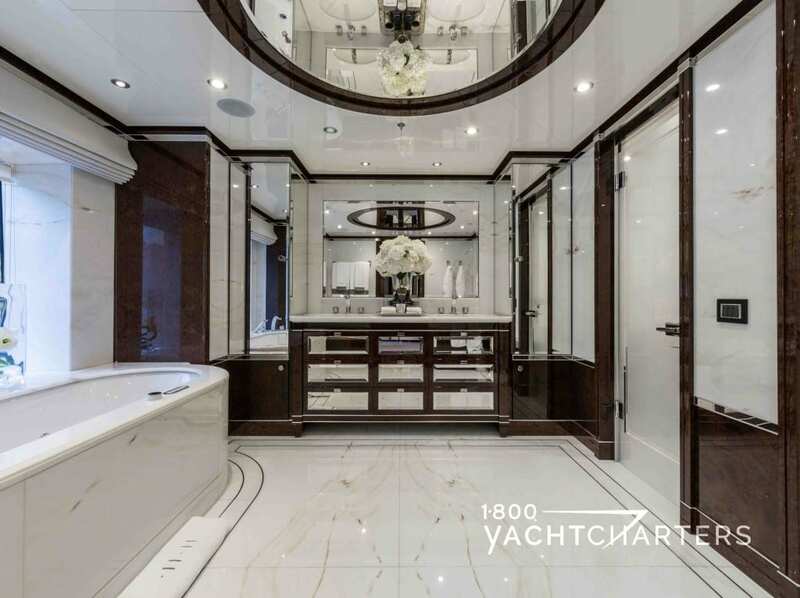 This little private area cannot be seen from the bridge above, making it an exclusive enclave for the guests of the master suite. 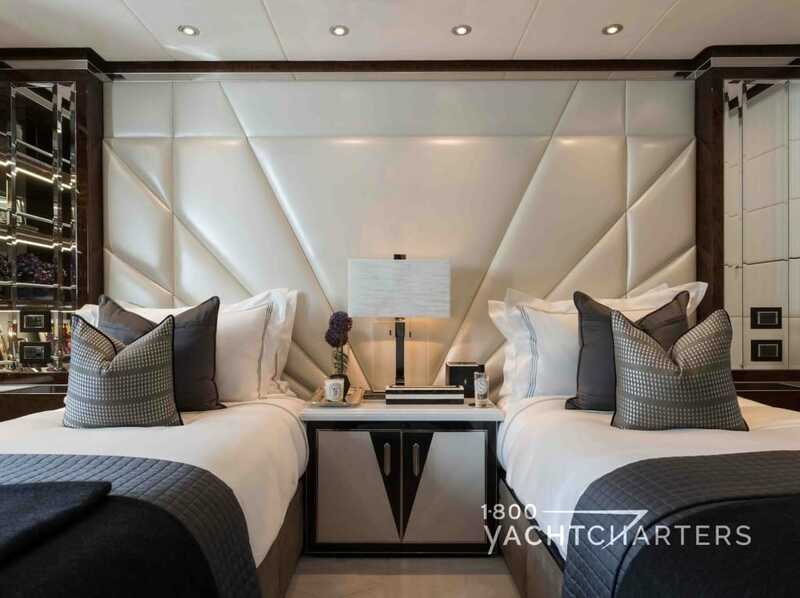 In addition to the master stateroom on the upper deck, a full-beam VIP suite is positioned on the main deck and features a private study, walk-in dressing room, and six ultra-large portrait windows. 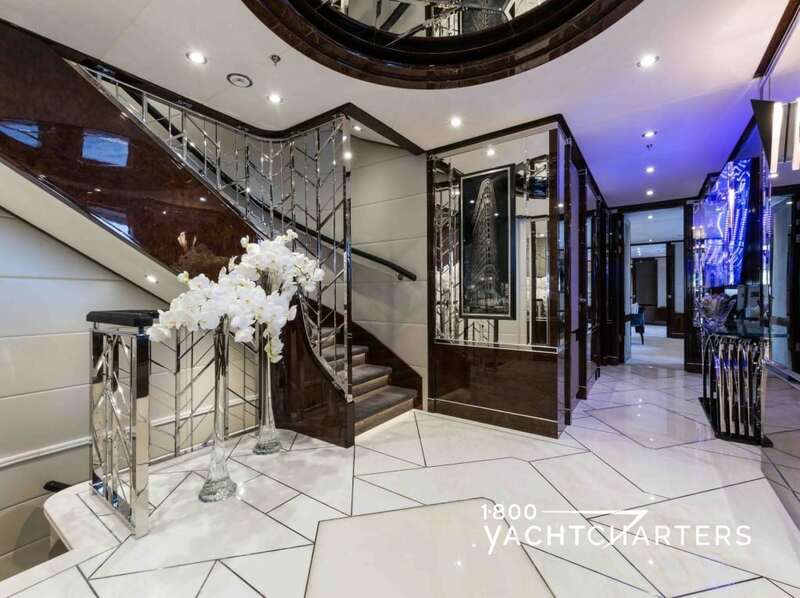 All other guest accommodations are on the lower deck – with two twin cabins (can be converted into doubles) and two double cabins joined by a central lobby. 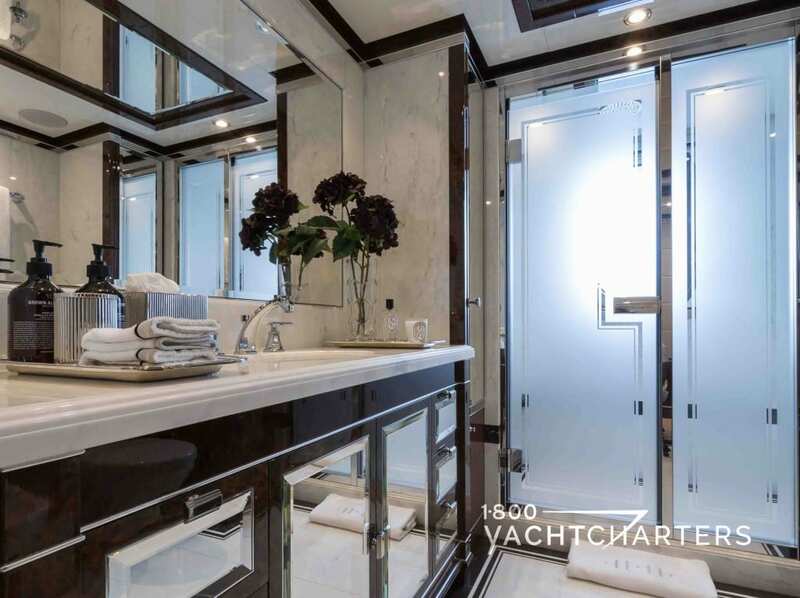 Each cabin is dressed in the same art deco style, featuring Italian marble in the bathrooms and Lalique taps. 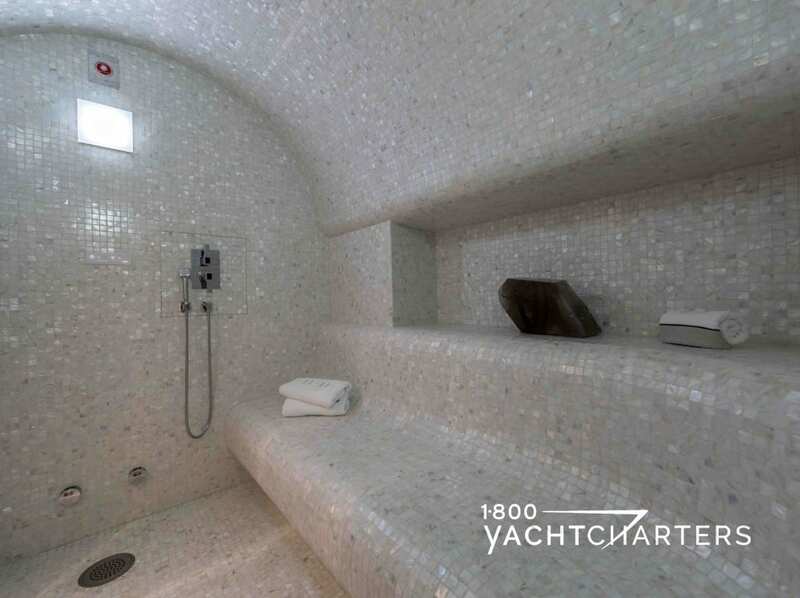 Special amenities and touches are too numerous to name. 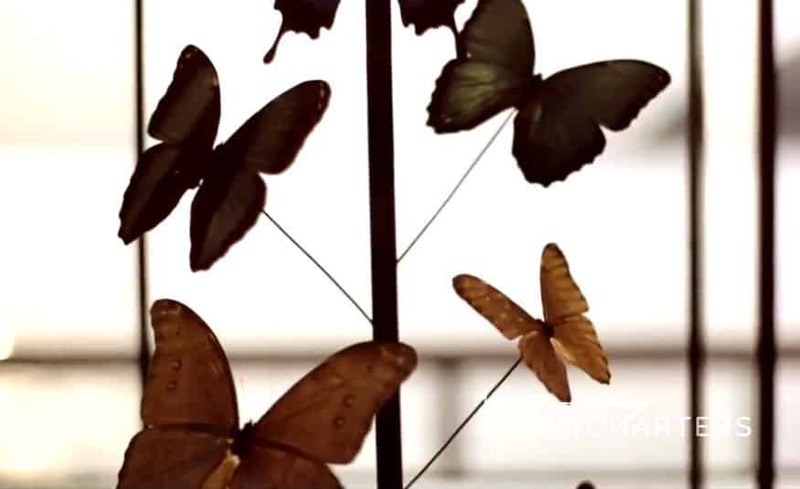 Most noteworthy are the contemporary artwork and photographs throughout, including pieces by Tracy Emin, Hans Kotter, Dominic Harris, David Yarrow and Ben Sack. 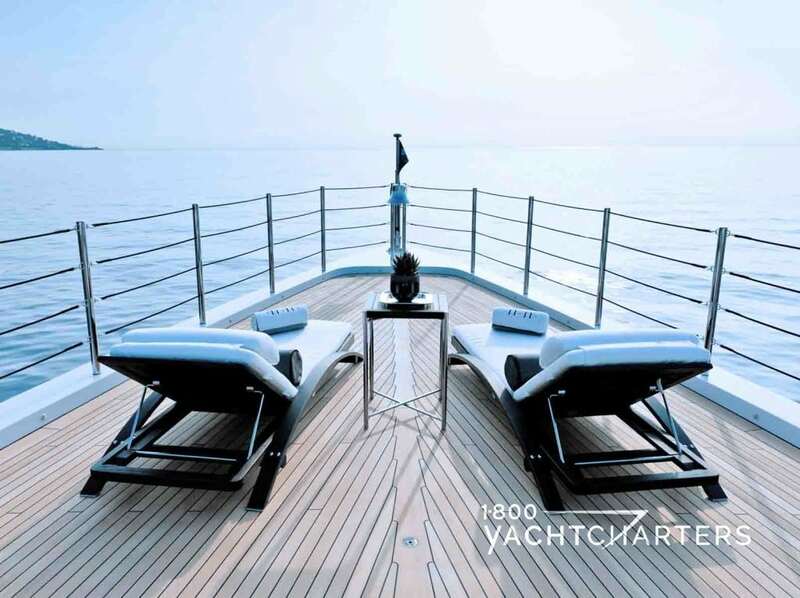 The yacht’s pronounced exterior, especially the visually-striking plumb bow is guaranteed to turn heads. 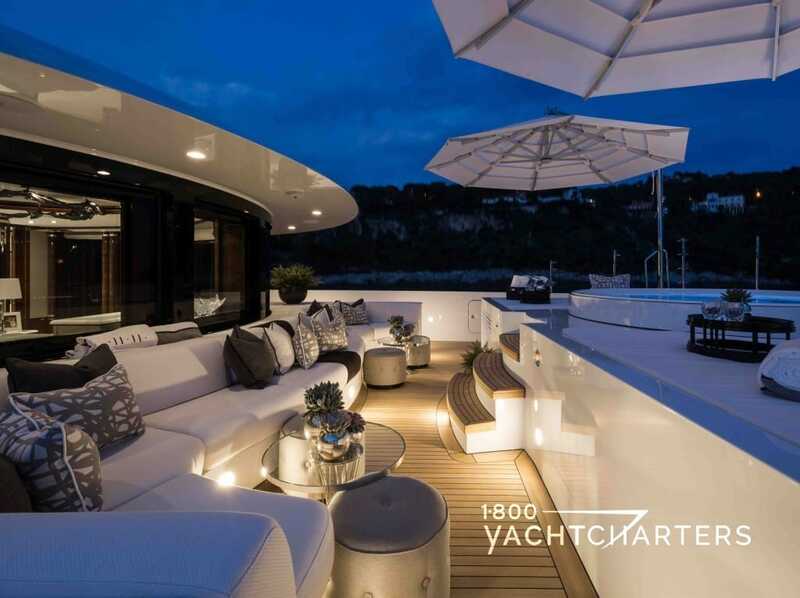 Additionally, 46 underwater lights ensure that the yacht stands out in port after sunset. 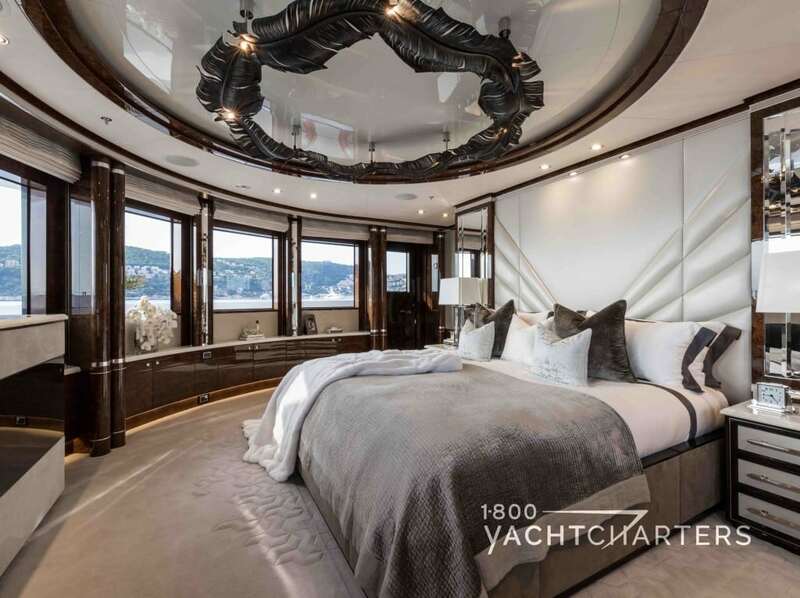 Innovative sound and vibration dampening technology provides for an exceptionally calm and quiet experience during charter.